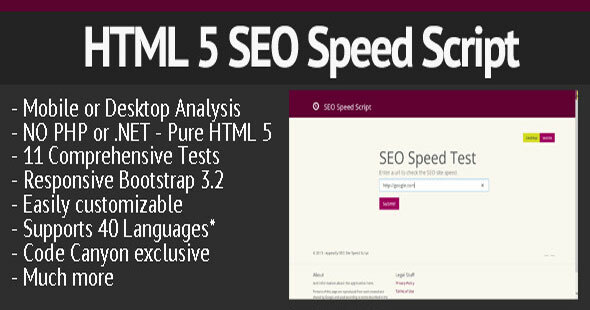 1 items tagged "SEO Speed"
Basic SEO is simple. Backlinks and keywords don’t mean anything without the core SEO principles. This script utilizes the latest in SEO grading (directly from Google Page Insights) and tells you about the what’s making a page slow with recommendations on how to make the page faster. Faster pages result in higher SEO rankings.